The rise of containerization was once seen by some as the death knell for hypervisor-based virtualization. But early adopters are finding that pairing containers with virtual machines actually helps mitigate risks without introducing many new challenges. 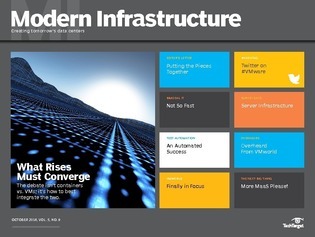 In this month’s Modern Infrastructure e-zine, we examine how these two abstraction technologies are being used together and how some open source innovators are even latching onto this best-of-both-worlds idea in an effort to better merge containers and VMs. The idea of bimodal IT: Is this the answer for efficiency?